“You either love it here or you don’t." 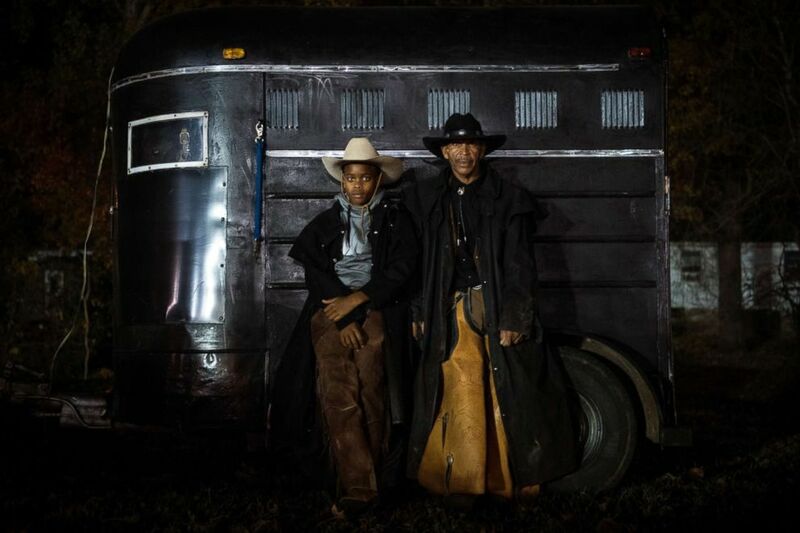 Photographer Rory Doyle's ongoing project, “Delta Hill Riders,” has been documenting the vibrant African-American cowboy community of the Mississippi Delta for the past two years. 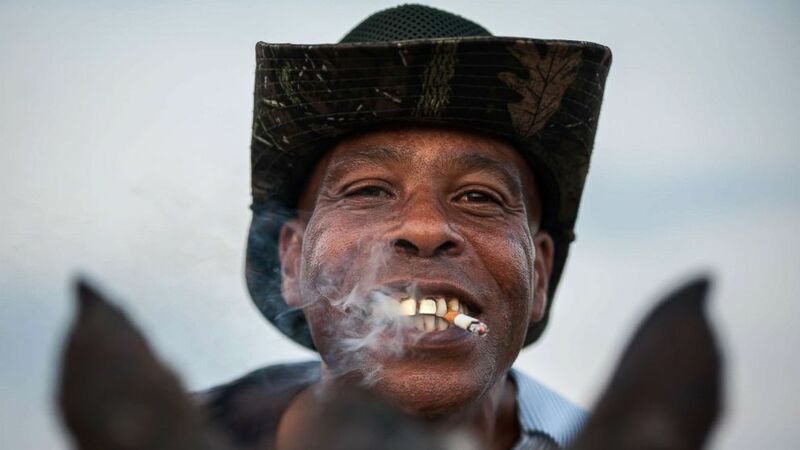 (Rory Doyle) A cowboy named James shows off his golden grill while smoking a cigarette in Bolivar County, Miss. 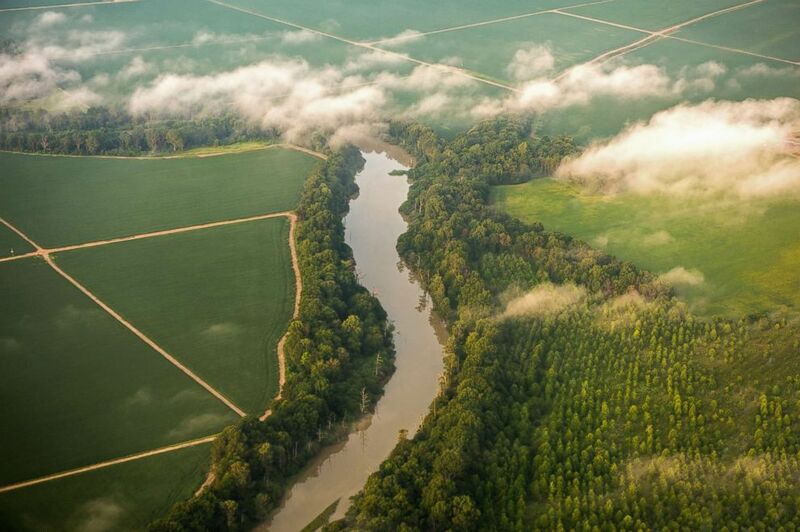 (Rory Doyle) A bogue cuts through farmland in Sunflower County, Miss. 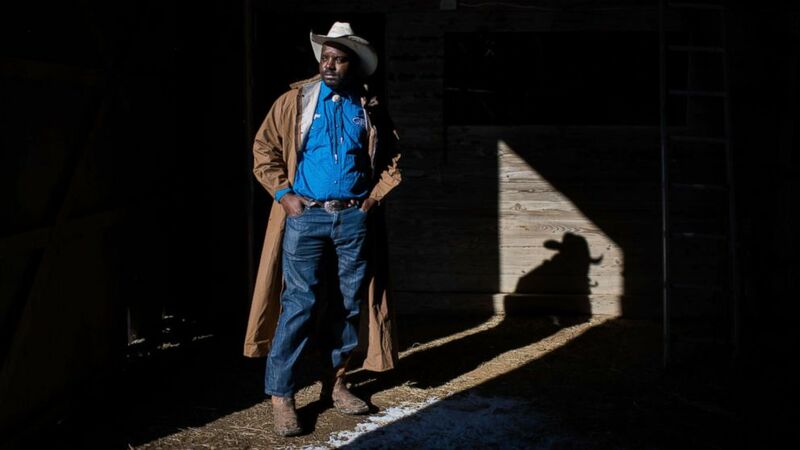 After approaching a rider at the annual Christmas parade in Cleveland, Mississippi, he was invited to attend a black heritage rodeo and soon after found himself traveling across the Delta (18 counties in the northwest part of the state) to photograph anything involving the black cowboy and cowgirl scene. 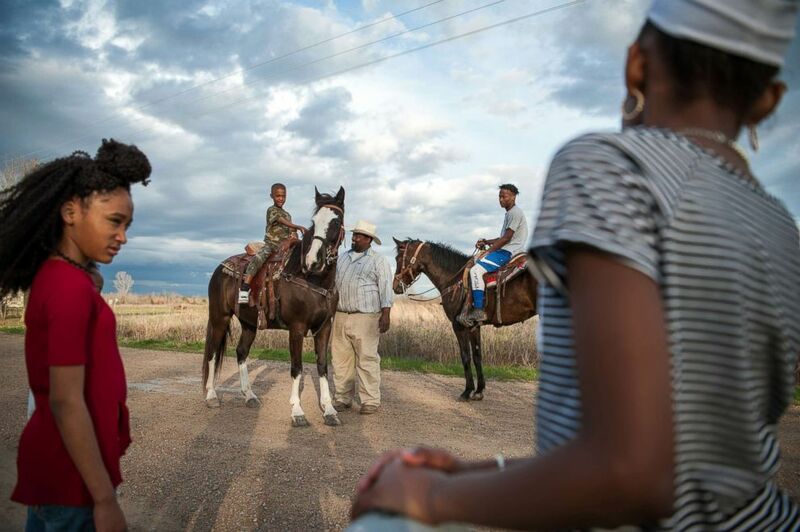 (Rory Doyle) A cowboy named "Big Mike" teaches a group of kids to ride in rural Humphreys County, Miss. 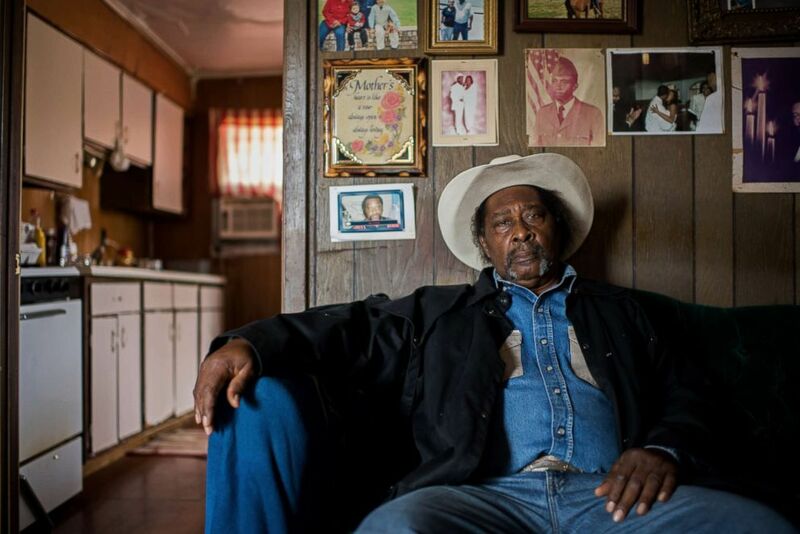 Doyle, who lives in Cleveland, Mississippi, is a transplant to the South and discovering the area’s black cowboy culture was a revelation. (Rory Doyle) Gee rears his horse after a rare snowfall in Bolivar County, Miss. The region faces many challenges: It’s one of the poorest areas in the country, with little economic growth or job opportunity, and a struggling education system. “You either love it here or you don’t,” Doyle said. But Doyle has made the Delta home, finding a natural affinity for the area and wide acceptance from the community. “If you come here as ‘outsiders’ but you’re committed to staying here, and show that you care about the community, people just embrace you and love you for it, for the love you give back to this area,” he said. 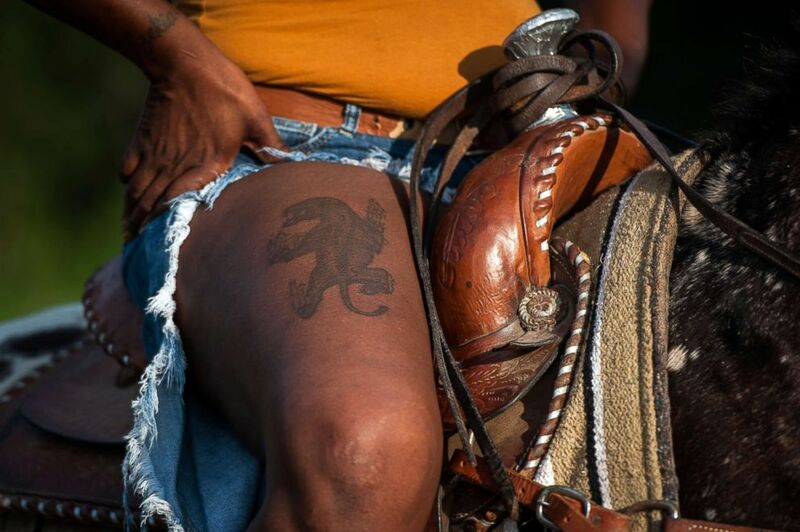 (Rory Doyle) A thigh tattoo is revealed on the leg of a cowgirl named Pam in Tallahatchie County, Miss. 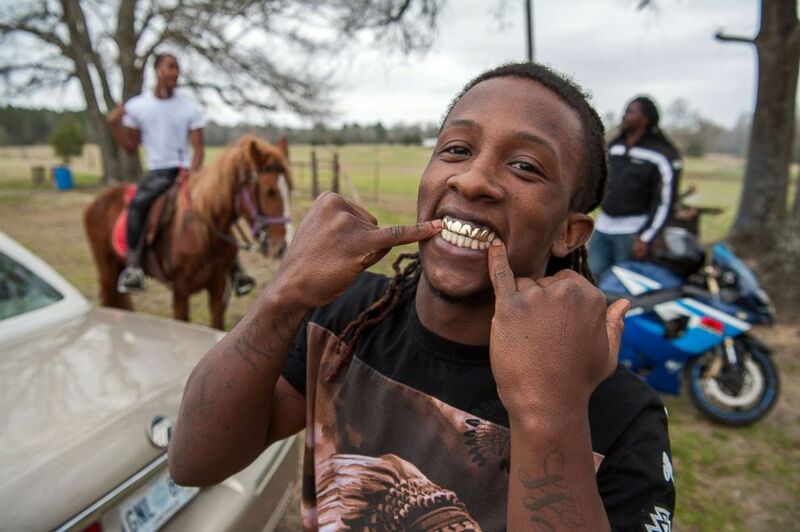 (Rory Doyle) Ladarius shows off his golden grill at a trail ride in Charleston, Miss. 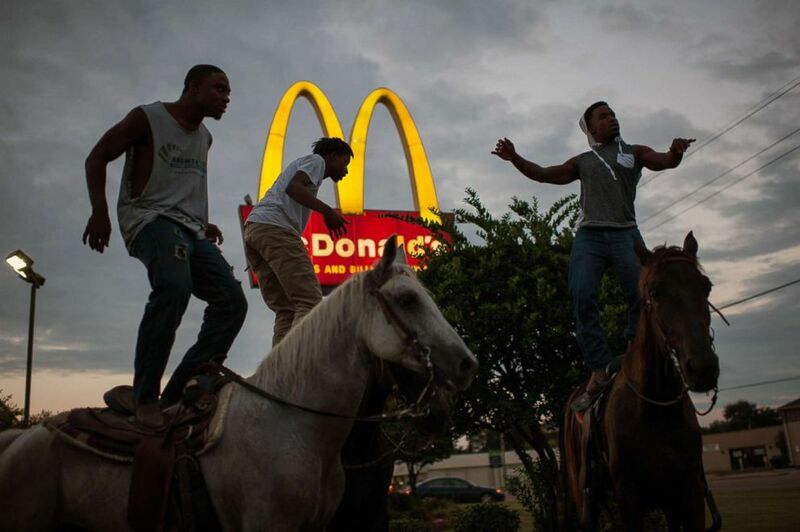 (Rory Doyle) A group of young cowboys dance atop their horses in the McDonald's parking lot in Cleveland, Miss. Doyle, a native of Maine, is very conscious of his “outsider” status but also credits that point of view for the incentive to begin the Delta Hill Riders project in the first place, and it continues to feed his vision for the project. (Rory Doyle) Javaris, left, and his grandfather, Rogers, pose for a portrait after the 2017 Christmas parade in Cleveland, Miss. 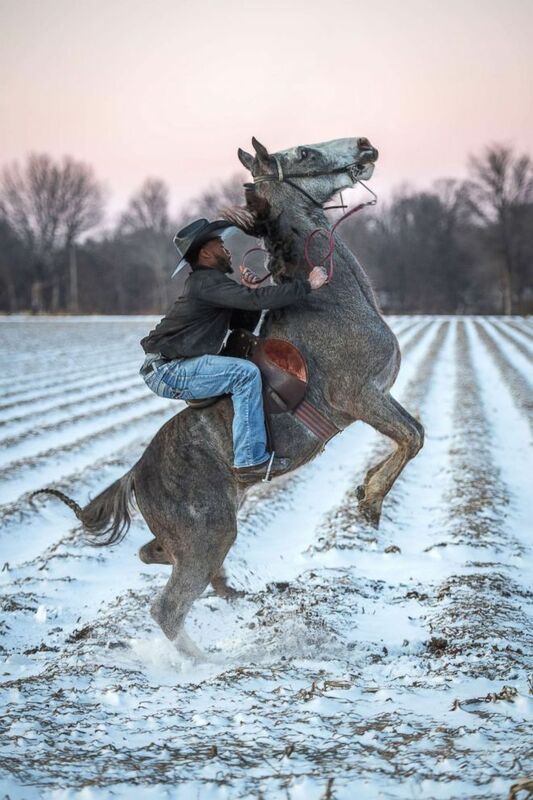 (Rory Doyle) Cowboy "Big Mike" pets his horse Lucy in Humphreys County, Miss. Doyle’s work not only challenges the stereotypes of cowboy culture, but also the African-American community and preconceptions of the rural South. The African-American or nonwhite cowboy has been overlooked historically, although they have always been a part of the cowboy way of life. Doyle’s documentation of the Delta Hill Riders works to erode the mainstream stereotype, as his images of daily life in the Mississippi Delta are far removed from the romanticized, Hollywood portrayal of the Wild West. (Rory Doyle) A cowboy named Kyran poses for a portrait at his horse barn near Cleveland, Miss. Likewise, the project sheds light on the contemporary situation of underrepresented subcultures and communities in America, especially in places like the rural South or minority populations. (Rory Doyle) A cowboy named Frank poses for a portrait at his home in Shelby, Miss. 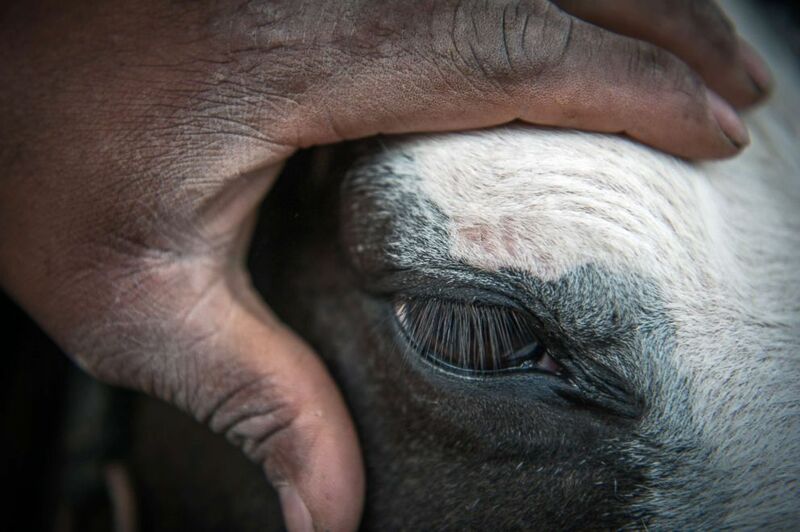 The people Doyle photographs have a fundamental love for riding and caring for horses. Although some do compete in rodeos or horse shows, they aren’t cowboys or cowgirls as a full-time career. They all have day jobs. 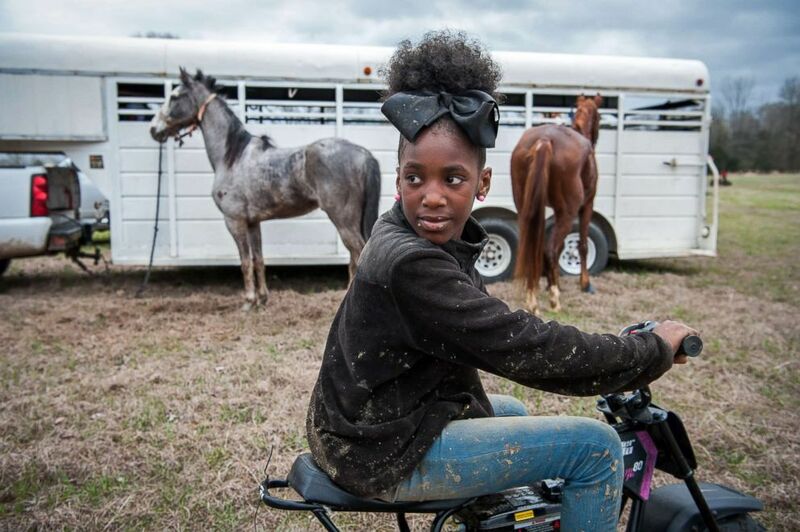 (Rory Doyle) Bre looks back for her friends at a horse show in Charleston, Miss. Hence, a unique aspect of Delta cowboy life is the lively club scene, where different genres of music and people come together. From R&B to Zydeco, it’s a collision of Delta sub-cultures, and with the younger cowboys, it's a chance to stand out. 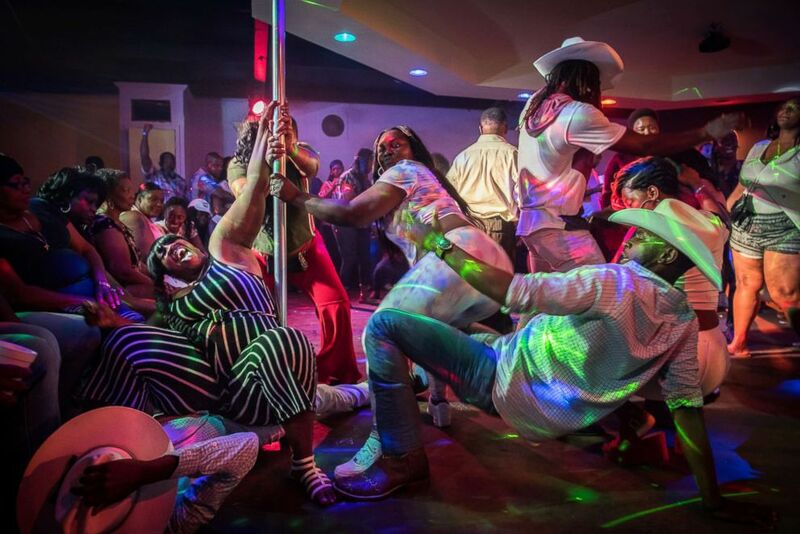 (Rory Doyle) A group of cowboys and dancers take to the dance floor at Club Black Castle in Ruleville, Miss. 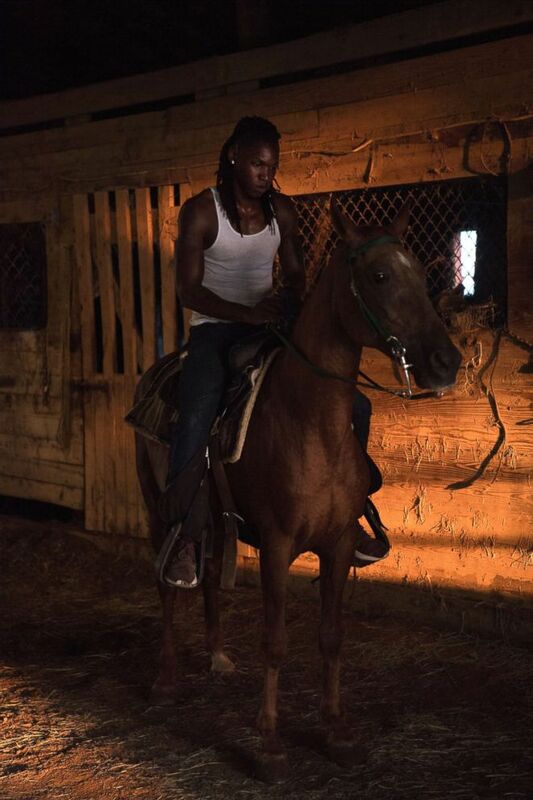 “They take pride in being cowboys, they take pride in owning a horse and being associated with that culture, and it doesn’t seem to bother them that they stick out from the other young people in the club who are dressed more like a traditional hip-hop crowd," Doyle explains. 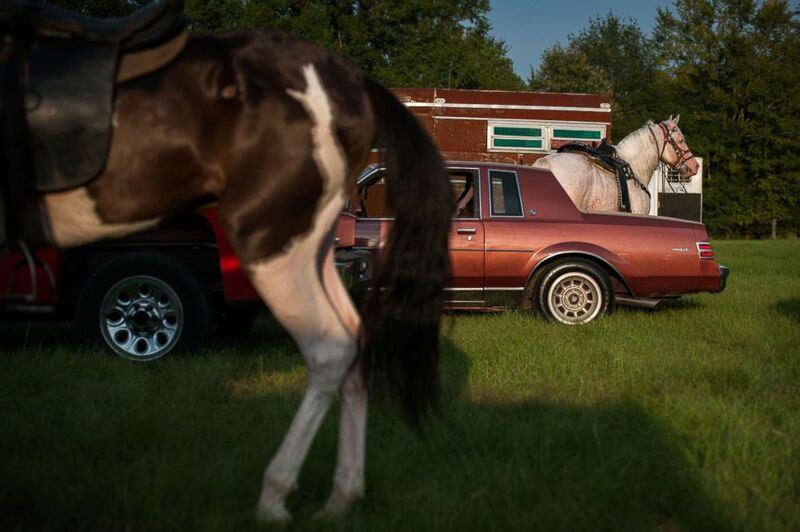 (Rory Doyle) Horses wait in a makeshift parking lot before a sunset horse show at Smith Farm in Charleston, Miss. 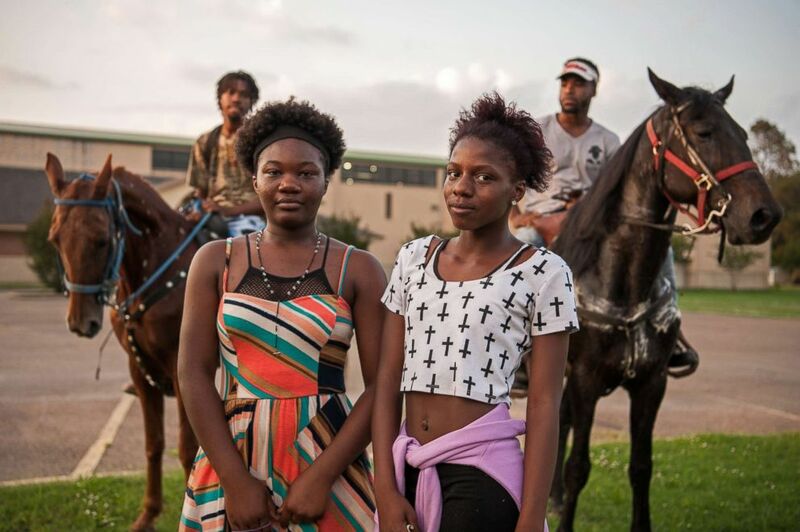 (Rory Doyle) A couple friends pose for a portraits with the cowboys riding the streets in Cleveland, Miss. Doyle sees such as especially significant to the project given the contemporary representations of young black men in American society, which often focus on incidents or crime or police violence. With the Delta Hill Riders project, Doyle hopes to continue to share a positive aspect of African American life that portrays a counter narrative to the mainstream stories of young black men and women. (Rory Doyle) A cowboy named Jessie poses for a portrait at his barn near Cleveland, Miss. To see more of Doyle's work on the Delta Hill Riders and the black cowboy culture of the Mississippi Delta follow him on Instagram here.